Summer is here, and the fashion world is all about minimalism. Breezy clothing and easy accessories are all you need this season to vibe with the blazing sun. We say, give into cool cottons and dress minimally without any compromise on style. While looking for apparel isn’t that hard, we thought we'd help you out on the accessories front (which will help you handle the heat). We found sleek watches by Skagen that are a perfect summer match for your easy-but-stylish wardrobe. Here are our two cents on how you can accessorise every outfit without going overboard. Danish designs! Skagen is known for timeless designs that strike a balance in contemporary innovation and a purposeful new mindset of fashion trends. With design that's on point, this brand has the most stunning watches that pair with a jeans-and-t-shirt look or a formal evening look juuuust right. The new collection Anita by Skagen is a collection you should be checking out right away. Blurring the line between classy and casual, this collection flaunts Mother-of-pearl dials that come in a rose gold colour with a mesh strap (which allows for comfort and looks chic doing it). Every Anita watch is styled to match your personality, and the range is pretty extensive, so pick the one you like the most and add it to your wish list. This collection is going to give you style goals and will make you check your watch all day long. With versatile styles that go perfectly with work and partywear, this range of watches is the definition of elegance. The dial is minimal (yet classy), and the width of the watch is so slim that it will make you want to never take it off (even with full sleeves shirts). 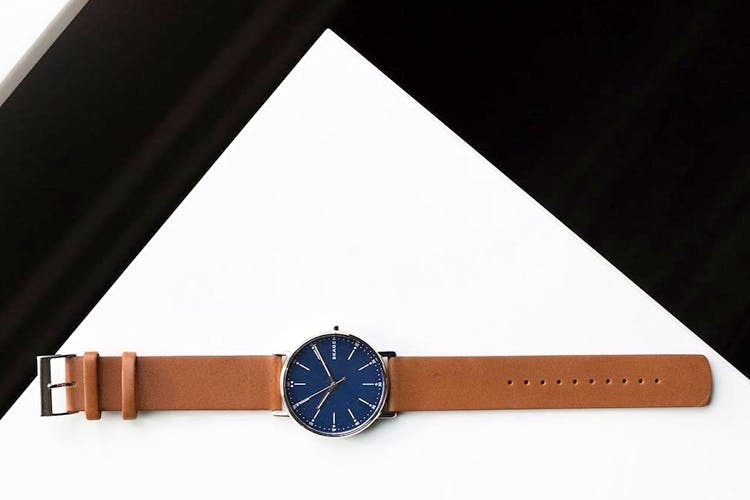 From tan leather straps to steel, mesh strap (and many more fun colours) this collection gets better and better as you scroll down the Skagen feed. You need to add watches and accessories to your wardrobe from a brand that deeply cares about both comfort and great design value. All the watches by Skagen are all about clean watch dials (one glance is enough) and slimmer cases that reduce the bulk on a wrist. This makes it one of the most favoured watch brands, and you will feel the same after checking out the feed.